If you really could find your way to your lover’s heart through their stomach, what would you feed them on the most romantic of all days? 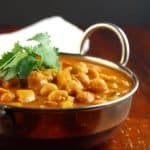 Reader Samantha asked me for an Indian vegan menu that she and a friend could put together for their boyfriends on Valentine’s Day. 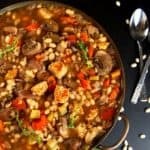 So I put my thinking toque on and came up some dishes perfect for marrying romance with love: sensual and luxurious foods made with ingredients known to be powerful aphrodisiacs that are also very heart-healthy. What better way to show your lover how much you love the heart that loves you back? 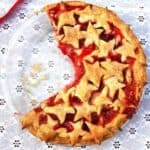 Starting today, as we approach Valentine’s Day, I will share with you these recipes one at a time. 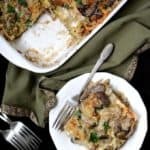 There are entrees, side dishes, desserts, and just about everything you’ll need to keep your love coming back for more (and I’m not just talking about food). Valentine’s Day is an extra-special day for me because it’s the day I married my one true love — the guy you all know as Desi. Although I definitely didn’t find my way to his heart through his stomach, because I didn’t know how to cook when we met and even after we got married, nothing delights me more than when he takes a bite of something I cooked and loves it. And I can tell you that the Asparagus and Saffron Biryani that I am sharing today to open this series definitely put the twinkle in his eye. 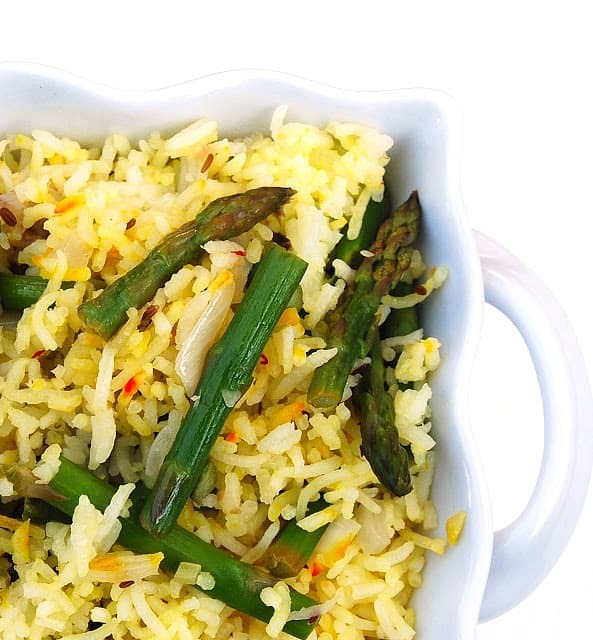 Asparagus and saffron are both ingredients that pack a powerful love punch. Both have been prized for centuries as aphrodisiacs because they contain powerful, libido-stirring nutrients. Asparagus, besides being exquisitely delicious, also packs tons of healthy fiber, potassium and folate, making it a heart star. And saffron, often called the most expensive of spices but really not that expensive (you do want to splurge a little on your favorite person this day, don’t you? ), adds a beautiful golden color and just that right touch of sophistication and provocative flavor to the biryani. 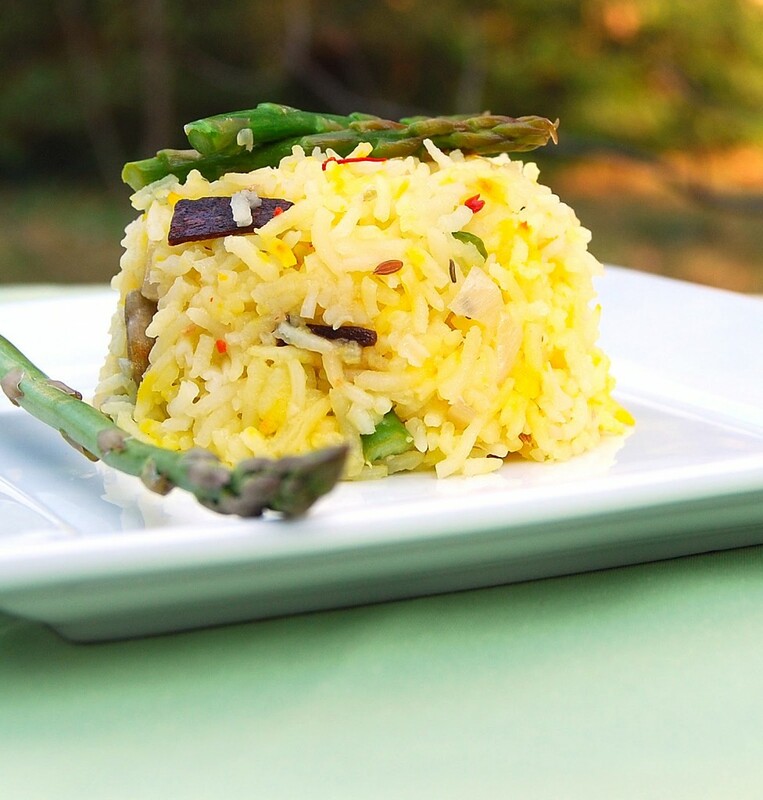 My Asparagus and Saffron Biryani is light and fresh and not weighed down by heavy masalas: perfect for Valentine’s Day when you definitely don’t want your sweetie to doze off after a divine dinner. 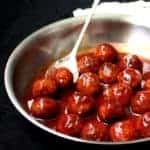 Plus all of the recipes I will share in this series, including this one, are designed to be cooked in minutes (although no one will guess that), because you don’t want to be spend the whole day in the kitchen and get so tired that you have to feign a headache at crunch time. The recipe’s next. Enjoy, all! 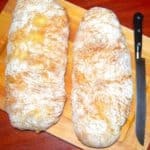 1 pound asparagus , cut lengthwise into 1-inch pieces (cut on a bias, or diagonally, for a pretty look). Trim the asparagus first by removing the hard ends. The easiest way to do this is to hold either end of the asparagus with your fingertips and bending it firmly. The stalk with automatically snap at the point where the hard end meets the tender one. You can save the tough parts to make vegetable stock. Place the water in a saucepan with a tight-fitting lid. Add all the spices, including saffron, and salt to taste. Bring the water to a boil, then add the drained rice. When the water begins to boil, slap on the lid, turn the heat to low, and let the rice steam for 15 minutes. Turn off heat. Heat the oil in a saucepan large enough to hold the sauce and the rice. Add the cumin and black cumin. When they sputter, add the onions and some salt. Saute until the onions start to soften, then add the garlic and ginger and red pepper flakes. Saute for another minute. Add the asparagus stalks and stir well. Add the lemon juice so the stalks remain bright green. Add the stock and when it starts to simmer, place a lid on the saucepan and let the asparagus cook for about 5-7 minutes on medium-low heat until it's cooked but still firm with a good bite to it. You don't want soggy asparagus in this dish. 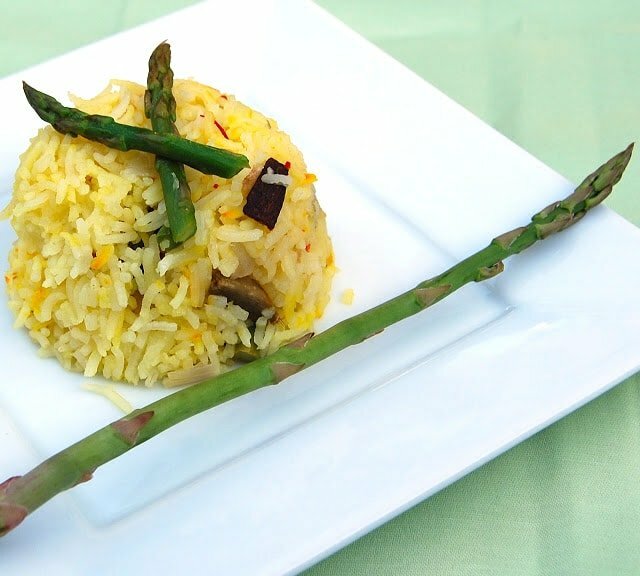 Add the cooked rice to the asparagus and stir everything together, very gently so as to not break the grains of rice. It is best to do this with a fork-- use a "fluffing" motion with the rice instead of a stirring motion. Serve hot. And stay tuned for my next Valentine’s Day Countdown recipe, yet another luscious yet heart-healthy dish made also with a powerful aphrodisiac — and vegan– ingredient. Wow! what a cool idea… Valentine’s day special dishes 🙂 See, its already put a smile on my face! The biryani does look fresh and light… and Im sure it tastes divine. 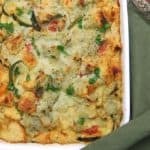 Love the idea and the recipe! I don’t care much about Valentine’s Day, neither does my husband (it’s not part of our culture), but we love and enjoy a romantic dinner all year round! Thanks! I am not a big believer in commercially boosted holidays either, so I try not to get into the “buying stuff” part of it. But Valentine’s Day is such a great excuse to stir some extra romance into even the most solid relationship. This sounds like a lovely biryani! I love Valentine’s day mostly just for another excuse to have a special night with my special someone, but chocolate never hurts, nor does a good home-cooked, candlelit meal. Beautifully done, who can resist to this wonderful,rich looking and delicious briyani. I’m actually the friend you’re referring to. 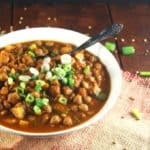 I came across your blog a few months ago by chance and Samantha and I, both having a love of vegan cooking (and all things Indian food), have used several of your recipes. And they have all been delicious! I just wanted to take a minute to thank you for helping us make this Valentine’s Day a special day. I can’t wait to get started! Looking forward to more great recipes to come. Hi Kristen, how nice to meet you! 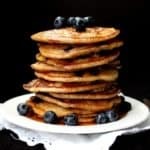 I am happy you’ve enjoyed the recipes, and I am thrilled you and Samantha thought of asking me to come up with a menu, because it got me thinking. This is a lot of fun! 🙂 Wishing you both and your loved ones a very happy Valentine’s Day. 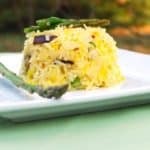 Delicious and aromatic Biriyani!!! picture perfect!!! It looks wonderful but there is no protein? Don’t we need protein for our health? This is not a dish to be eaten by itself– you eat it with the lentil curry which I posted after this recipe. And rice too has a good amount of protein. Made this for dinner today and even my 2 and-a-half year old loved it! I especially loved how light and fresh this biryani was. 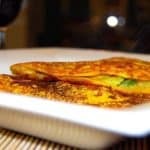 I just found your blog today and plan to try out some of the mango recipes, they look delish!